COLUMBUS, Ohio, April 10, 2019 /PRNewswire/ — Ventech Solutions, Inc. announced the appointment of Tonia Bleecher to its executive team as its Chief Growth Officer. Bleecher will lead the company’s business development team as it expands its growth in the healthcare industry. Recently, Bleecher served as Senior Vice President for Ventech Solutions, leading its Healthcare Enterprise Solutions business development team. After successfully building and aligning the new business development team in the healthcare market, Martin Toomajian, who served as both Chief Strategy and Growth Officer, is named Chief Strategy Officer and will focus exclusively on Ventech Solutions’ business growth strategy and Vision2020. Toomajian will continue to set Ventech Solutions’ strategy, which includes identifying and working directly with companies to determine merger and acquisition opportunities that will add new capabilities and clients to the Ventech Solutions’ portfolio. Timothy Moore, PhD, Senior Vice President, Commercial Healthcare IT, will lead our commercial healthcare IT solutions product line and expand Ventech Solutions’ business across a variety of commercial sectors and work environments to deliver custom solutions centered around reducing provider/payer costs and improving delivery of healthcare and security to patients. Moore has more than 30 years of federal, academic, military and commercial RDT&E experience and led Auburn University’s successful effort to establish a new medical college and capture effort for the $57 million heptavalent botulinum vaccine production program. Nathan Anthony, Vice President for Healthcare Enterprise Solutions, will support business development and capture activities for Ventech Solutions in the government market. He will also support solution engineering with a focus on emerging technologies and data analytics. Anthony brings a blend of experience in business development and in leading multi-disciplined teams in IT and business strategy, process and digital transformation, and in IT solution design, including solutions using artificial intelligence (AI) and data science practices. Prior to joining Ventech Solutions, Anthony worked at IBM Watson Health, Booz Allen Hamilton, and CGI Federal. His focus has been with health focused federal and state government agencies, such as the Centers for Medicare and Medicaid Services, Veterans Affairs, and others. Kirk Grothe, Vice President, Government Solutions will align Ventech Solutions’ portfolio, including existing technical tools, new tools, and emerging technologies, to meet the business needs of its government customers. He will also manage the company’s relationship with ServiceNow. 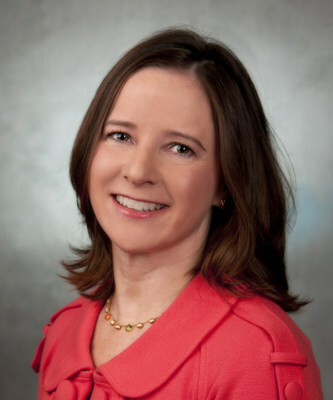 Grothe recently served as Chief Executive Office at Livanta, LLC, a privately-held, government contracting firm headquartered in Maryland. Other positions held by Grothe include Vice President for Truven Health Analytics and Acting Group Director and Division Director for the Centers of Medicaid and Medicare Services. He was responsible for leading the team to a $1.5B IDIQ award for Beneficiary and Family Centered Care Quality Improvement Organization services. Ventech Solutions is a healthcare solutions provider who has expertise in end-to-end information technology life cycles and data solutions. Across its offices, teams combine passion, experience and technical expertise with superior process and delivery knowledge to provide high-quality IT products and services that align with our key strength areas. Ventech Solutions proudly provides mission-critical initiatives for the U.S. government. For more information, visit www.ventechsolutions.com.